As an important part of new materials, semiconductor materials are the top priority of all countries in the world for the development of electronic information industry. It supports the development of localization of electronic information industry and is of great significance to industrial structure upgrading, national economy and national defense construction. In 2018, domestic semiconductor materials, with the joint efforts of all parties, achieved gratifying results in some areas, but the progress in the localization of key materials in the middle and high-end areas was slow, and the breakthroughs were few. The overall situation is not optimistic. According to WSTS, in 2018, under the guidance of the memory market, the global semiconductor market continued to maintain rapid growth. The annual market size is expected to reach 477.94 billion US dollars, an increase of 15.9%. However, as the problem of the shortage of memory is alleviated, the growth rate of the global semiconductor market will be greatly reduced in 2019, and it is expected to increase by only 2.6% for the whole year. Domestically, the domestic semiconductor industry has a good business climate in the first half of 2018. Since the second half of the year, the domestic semiconductor industry has become increasingly weak due to the interfering factors of global consumer market demand and other factors. According to preliminary statistics, in 2018, China’s semiconductor industry sales were 920.2 billion yuan, up 16.7% year-on-year in 2017. The uncertainties affecting the global economy in 2019 are still increasing. It is expected that the annual growth rate of semiconductor industry sales in China will fall to 14.8%. 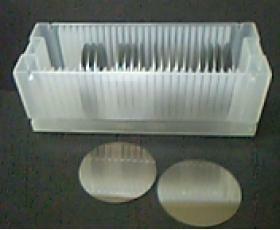 Semiconductor materials mainly include wafer manufacturing materials and packaging test materials. 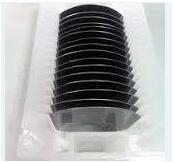 Among them, wafer manufacturing materials include silicon wafers, photoresists, photomasks, electronic special gases, wet chemicals, sputtering targets, CMP polishing materials, etc. In 2018, the overall market size of domestic wafer fabrication materials is about 2.82 billion. US dollar; packaging materials include lead frames, substrates, ceramic packaging materials, bonding wires, packaging resins, chip placement materials, etc. In 2018, the domestic packaging materials market size is about 5.68 billion US dollars. In 2018, the total market size of wafer fabrication materials and packaging test materials was approximately $8.5 billion. In 2018, the development of various segments of semiconductor materials in China is different. In terms of silicon wafers, the domestic construction boom has continued to emerge. As of the end of 2018, according to the capacity disclosed by each company’s mass production line, the 8-inch wafer production capacity has reached 1.39 million pieces / month, and the capacity under construction has reached 2.7 million pieces / month. The production capacity of 12-inch wafers is 285,000 pieces / month, and the capacity under construction is 3.15 million pieces / month. If they can be opened on schedule, from the perspective of capacity data, it far exceeds the needs of downstream users. In terms of photo masks, more than 80% of the global semiconductor market share is occupied by Photronics, Dainippon Printing Co., Ltd. DNP and Japan Toppan Printing Co., Ltd. Toppan. The domestically-owned enterprises engaged in the research and production of photo masks mainly include PAM-XIAMEN. 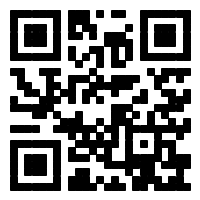 The products are mainly used in flat panel display, touch industry and circuit board industry. Production of 28 nm and 14 nm photo masks is expected to begin in the first half of 2019. In terms of wet chemicals, China’s 6-inch and above wafer production lines consume more than 250,000 tons in 2018. The sub-sector requires products to reach SEMI standards above C8 and C12, while domestic technology is relatively low, so most of the products come from import. However, in 2018, the country has achieved a gratifying breakthrough in the consumption of the most electronic grade sulfuric acid. In late April, domestic chemical companies rely on the superiority of high-quality industrial sulfuric acid raw materials with an annual output of 300,000 tons, and combine the advanced manufacturing technology of electronic grade sulfuric acid imported from Japan’s Mitsubishi Chemical Co., Ltd. to invest in the construction of electronic grade sulfuric acid project with an annual output of 90,000 tons, which is expected to be officially put into operation in July 2019. In the third quarter of 2018, the domestic enterprise’s electronic grade sulfuric acid technology made a major breakthrough, the product quality surpassed the SEMI C12 level, and the product quality of BASF, the largest supplier of international electronic chemicals, was at the same level, and it was stably supplied to some domestic 12 inches. Fab. In terms of electronic special gas, the domestic semiconductor special gas market in 2018 is about 489 million US dollars. After more than 30 years of development, China’s semiconductor electronic special gas has achieved good results. Many domestic companies have made breakthroughs in 12-inch wafer products, and achieved a stable volume supply. In May 2018, domestic enterprises held the groundbreaking ceremony for the second phase of the project. After reaching production in 2020, they will produce 20,000 tons of high-purity electronic gas, nitrogen trifluoride, tungsten hexafluoride, hexafluorobutadiene and trifluoromethyl. The production capacity of four products of sulfonic acid will rank first in the world. 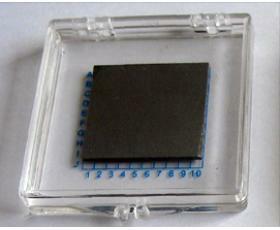 In terms of high-purity silanes, domestic companies use self-produced high-purity silanes as raw materials to research and develop low-temperature de-light de-weighting, multi-stage adsorption and crystalline silicon film-forming detection technology with independent intellectual property rights to prepare semiconductor-grade silane gas. A breakthrough has been achieved in key technologies such as rectification and purification and film formation detection, and it has the industrialized production capacity of semiconductor-grade silane gas. In terms of high-purity silicon tetrafluoride, domestic companies’ products have achieved large-scale supply to major domestic chip manufacturers in 2018. In terms of photoresist, it has been highly monopolized by US and Japanese companies. 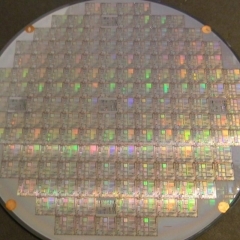 The localization rate of semiconductor wafers for 8-inch and above is less than 1%. There are still many key technologies that need to be overcome. Currently, the company is really engaged in photoresist for integrated circuits. There are less than five companies that research and produce. In 2018, several major companies made breakthroughs in their respective segments. 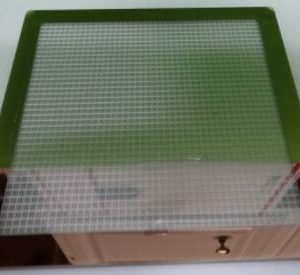 In May, the “Ultraviolet Photoresist Material and Laboratory Testing Technology Research” project undertaken by domestic enterprise A successfully passed the national acceptance; in August, domestic enterprise B said that the company’s i-line photoresist has passed the SMIC test. In December, another domestic company developed the first ArF (dry) photoresist product with stable performance, and all performance indicators reached the same level as similar foreign products. In terms of targets, in recent years, the state has formulated a series of industrial policies to promote the development of target technology, with remarkable results. 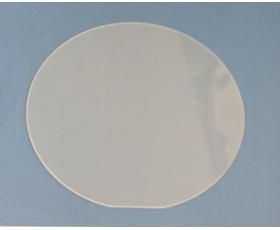 At present, the localization rate of sputtering targets for domestic 12-inch wafers is about 18%. In August 2018, Yunnan Province’s international cooperation plan special project – “Key technology and industrialization of nickel-platinum target for semiconductor devices” made a major breakthrough, established a production line and achieved good economic benefits. The core technology has been mastered in the use of sputtering targets for 7nm advanced technology nodes. In terms of CMP polishing materials, there are mainly polishing liquids and polishing pads. The local supplier can provide 12-inch IC polishing liquid, which has certain advantages in the copper process. In 2018, it has completed the research and development and industrial application of many world-class integrated circuit materials, but in the higher-end STI process, there is no preparation technology for the grinding of core raw materials. Products for 12-inch wafers are still underway. In terms of packaging materials, high-end bonding wires, package substrates, lead frames, etc. are still highly dependent on imports. In 2018, domestic enterprises mainly made breakthroughs in the low-end field. In recent years, the transformation of packaging forms has also put new demands on domestic enterprises. Today, China has become the world’s largest semiconductor consumer market. The next round of terminal requirements such as Internet of Things, 5G communications, and artificial intelligence has created new opportunities for the development of the semiconductor industry in mainland China. For the semiconductor industry to continue healthy and stable development, the synergy of the industry chain is the key. The material industry as an important support is the top priority. At present, the overall localization of China’s semiconductor materials is still at a relatively low level, especially in the middle and high-end areas, and there are so many products and technologies that need to be broken. The research and development of materials is a long process. From verification to real introduction, it takes a lot of time. In the high-end materials research and development talents, there is a big gap in China. In the core technology, the foreign blockade is strict, which gives domestic semiconductors. The development of the materials industry has brought many challenges. The degree of localization of semiconductor materials in China has to be significantly improved, and there is still a long way to go. Found in 1990, Xiamen Powerway Advanced Material Co., Ltd (PAM-XIAMEN), a leading manufacturer of semiconductor materials in China, its business involves GaN Wafer, SiC Wafer, GaAs Wafer, Compound Semiconductor, Germanium Wafer, CdZnTe Wafer, Silicon Wafer, Wafer Fabrication.